Our mission is to bring you solutions to increase quality and productivity in the industrial sector. In the current context of globalization, companies need to increase their productivity to secure their future. Furthermore, the increasing complexity of mechanical parts assemblies makes it essential to know the exact geometry of each part by using unitary control and have a traceability of the acquired dimensional data. With the Eleone solutions, Adequaly gives you a way to increase the quality and effectiveness of your processes. Our solutions are perfectly integrated in a Lean Manufacturing effort. Their relationships with the clients, suppliers, partners and colleagues. Sensitive to its activities’ social, environmental and economic impacts, Adequaly has written a charter of its corporate social responsibility principles. Here at Adequaly, sustainable development isn’t optional, on the contrary. ? Our company is committed to limiting the waste of raw materials and non-renewable energies. The seven pillars of circular economy inspire and guide us every day in the conception and production of our services and solutions. Adequaly commits itself to limiting its impact on the environment. The ecological charter written and signed by Adequaly is a testament to this effort. It lists all the undertakings and presents the values and specific actions put into practice daily. The assembly of the constitutive elements of the Eleone solutions is done in France. 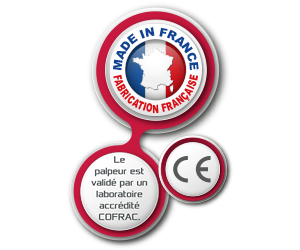 Whenever possible, the components are made in France.